eCheck – If you have a personal check or checking account, you will receive an additional 15% off your order! All you have to do is provide your Routing and Account Numbers at checkout. Please note – some banks will not allow you to pay with this option due to security settings. Cash On Delivery (COD) – This option will allow you to wait and pay for your order when it is delivered to your door. You must provide the delivery driver with a money order or cashier’s check for the total amount of your order. This option costs an additional fee. You will see the fee calculated in your cart at time of checkout. Please make your money order to “Lively Mood Botanicals LLC”. Bitcoin – If you use Bitcoin (which we encourage! ), you will receive an additional 15% off your order! Mobile Check – This method also gives you a 15% discount! All you have to do is take a photocopy of a personal check (just snap a picture of the front and back with your smartphone) and email to [email protected]. Make the check payable to “Lively Mood Botanicals LLC”, fill out your order amount, sign and write your order # in the memo line. That’s it! Visa/MasterCard – Unfortunately, we are unable to take payment with debit cards at this time. This is an issue that has arisen across the entire Kratom industry in the past few years. We are always on the lookout for effective payment solutions which meet our standards for security and efficiency. Help! I can’t get my payment to go through! Please contact us via our contact form, Facebook page or by emailing [email protected] and we’ll do everything we can to assist you! Kratom vendors are required to process credit cards via an offshore processor and unfortunately, this can cause problems. We are here to help! All orders will be processed and shipped same-day Monday through Friday as long as they’re completed before 12 PM (MST) and same-day Saturday if completed before 8 AM (MST). All other orders will process and ship on the next business day. Unfortunately, we cannot ship out products on major national holidays. For more information about this, please view USPS Postal Holidays. Of course! Once your order is processed, you will receive tracking information via email. Please note: tracking emails are automated and may not send immediately. Also, when you receive your tracking number, the number may not have registered in the USPS or FedEx website. Please be patient for it to update. As long as you contact us before your order leaves our warehouse, we can update your shipping address. Please email [email protected] with your information. Help! My package hasn’t arrived! If your order has been lost in transit, we will need claim information from USPS to take care of this issue. Call USPS at 1-800-275-8777 or you can file a claim online at: https://www.usps.com/help/claims.htm. You will need your tracking number. We accept returns on unopened items within 10 days of purchase for 100% money back, excluding shipping and handling costs. All returns must be in their original condition and packaging. Please use our contact form for the initiation of the return process. If you’d like to provide feedback, let us know how we can serve you better or just want to say hi – please email us at [email protected]. Please note we cannot answer questions about how to take our products, as they are not sold for human consumption. Mobile Check – This method also gives you a 15% discount! All you have to do is email a copy of a personal check (front and back) to [email protected]. 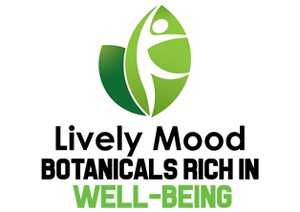 Make the check payable to “Lively Mood Botanicals LLC”, fill out your order amount, sign and write your order # in the memo line. That’s it! Visa/MasterCard – Please make sure your billing address matches what’s on file for your card. Multiple declines because of an incorrect address can result in the complete block of your card for up to 24 hours. Visa transactions will be processed by an overseas processing company (now required for all Kratom vendors), so you may need to contact your bank and ensure they remove any international transaction blocks. Our UPS shipping rates vary by location and can be calculated during the checkout process. USPS International (with tracking) will be determined by location and service. If your order has been lost in transit, we will need claim information from USPS or FedEx in order to take care of this issue. Call FedEx at 1-800-463-3339 or you can file a claim online at https://www.fedex.com/apps/onlineclaims/?locale=en_US. You will need your tracking number. If you are STILL unable to locate your package, please forward us your claim information. Once we verify the claim, we will reship your order! Are the products pictured the same products I will receive? There can be variations in powder colors, depending on the specific type of mesh used when grinding our leaves into powder. But breathe easy – we examine and inspect each and every order for consistency and high quality.